I know it is only April, but this fun 4th of July party idea was too fun not to post. 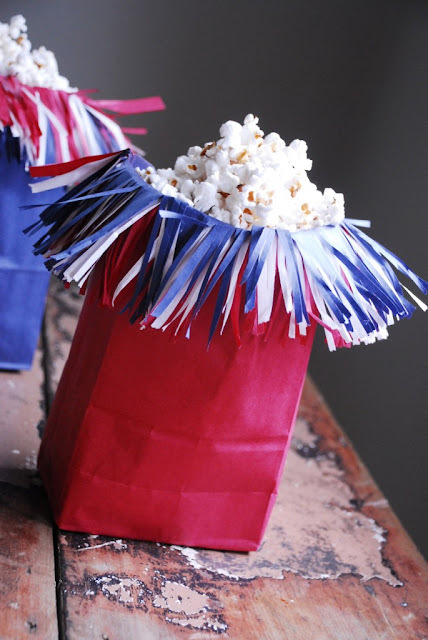 Plus, if you switch out the red white and blue for some other colors, this firecracker popcorn bag could work for all sorts of party themes. You could even use regular paper bags and it would look like a grass skirt for your luau! You can check out how to make a firecracker bag over at Family Chic.